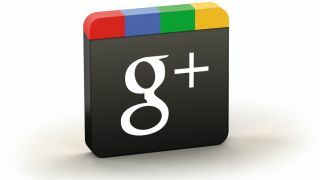 New stats suggest that Google+ is now second only to Facebook in the social networking charts. The data, which comes from GlobalWebIndex, shows that while Facebook is far and away the most popular network in terms of active users, Google's little network that could is ahead of both YouTube and Twitter. According to the figures, Facebook's sitting pretty with over 50 per cent of the global internet population actively using the site in the past month, while Google+ welcomed around 25 per cent. YouTube and Twitter are about equal with 21 per cent of web users logging on regularly, while LinkedIn, Myspace, Pinterest and Tumblr trail behind with under 10 per cent of the action apiece. But these stats relate only to active users - people who regularly log in with the sole purpose being to use or contribute to the network in question. They don't take in casual passers-by who don't log in but do read tweets or watch videos or whatever. GlobalWebIndex's figures note that Twitter is the fastest growing of the networks - but Google+ and Facebook are growing too. It's worth bearing in mind that measuring social network use is nigh on impossible to do accurately as each network is loathe to share its accurate traffic and activity figures. Indeed, Google+ doesn't even feature on StatCounter's Top 7 Social Media sites chart (which users web traffic as its metric) for October to December 2012. Still, the one thing that the two stat-loving sites agree on is that Facebook is way ahead of the pack.